Born at Zwickau in Germany, Schumann grew up in a literary' environment. His father was a writer and publisher and encouraged his son's enthusiasm for the Romantic authors of the time. His interest in music was nurtured by performances given locally, but was discouraged by his mother. After his father died when he was 16, it was decided that he should go to Leipzig University to study law. He did not take studies seriously, preferring to indulge in the excesses of student life and, of course, music. He attended concerts at the Gewandhaus, took piano lessons with the fiercely idealistic Friedrich Wieck, and, during further "study" in Heidelberg, began to perform and compose. He gave up law and returned to Leipzig for further lessons with Wieck, but ruined any chance of a career as a pianist by dislocating a finger with a stretching machine he had invented. Schumann often wrote under two pseudonyms — Florestan and Eusebius — who led an imaginary Davidsbund (League of David) in the fight against musical philistinism and represented the "ecstatic" and "sensitive" sides of his personality. The two characters also appear in the piano works that dominate his output from the 1830s. "F" and "E" are credited with authorship of the various Davidsbundlertanze (Dances for the League of David), and their respective musical portraits form two of the movements of Carnaval, probably Schumann's finest solo piano work. 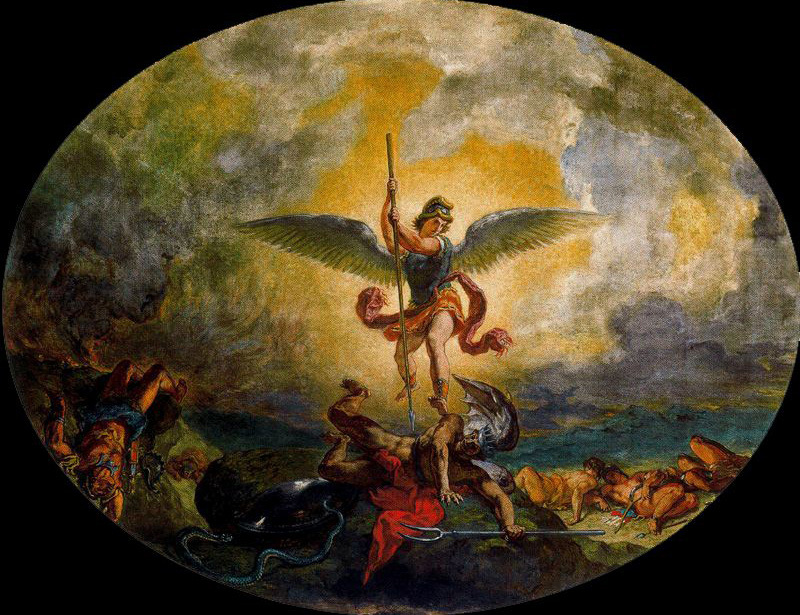 The League of David appears once more in the final "March against the Philistines." In Kreisleriana - another important piano work of the 1830s — he paints a musical portrait of E.T.A. Hoffmann's Romantic hero Kreisler, but the work is also a tribute to Clara, the virtuoso pianist and daughter of Wieck, to whom Schumann was engaged. Wieck strongly opposed the relationship at first, fearing a threat to Clara's career (and hence his own vicarious success) but eventually consented and the two were married in 1840. Clara became a regular performer and lifelong champion of Schumann's works, and much of his fame is due to her efforts. Schumann's work diversified in the 1840s. An initial creative period resulted in the Dichterliebe (Poet's Love) song cycle of 1840, the first two symphonies of 1841, the Piano quintet and the Piano quartet of 1842. But in 1843 he suffered an attack of nervous exhaustion, and depression struck again the following year. The Schumanns moved to Dresden and Robert gradually emerged from his morbid state in 1845 for another highly creative phase of six years. He completed his Piano concerto and as a result of a preoccupation with Goethe's Faust composed Scenes from Faust in 1848 — "the most fruitful year of my life" — which also saw the composition of his outstanding overture to Byron's Manfred. The Rhenish symphony (1850), his third, was his most successful and, although it suffers from overly dense orchestration, it demonstrates a true grasp of symphonic form for the first (and only) time. 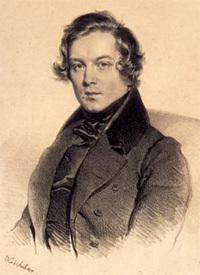 In 1850 Schumann was appointed conductor of the choir and orchestra in Dusseldorf, which should have provided performance opportunities and inspiration for new works. But he was too introspective and absent-minded a person to carry out his duties effectively and quickly became unpopular. When he fell ill yet again in 1852, the authorities suggested that he retire on grounds of health, but he took it badly and considered himself to be the victim of a "Philistine" conspiracy. A brief light in the darkness of these final years was provided by the arrival of the young Brahms in the Schumann household, where he was hailed by Robert as the future saviour of German music. But Schumann's mental condition deteriorated soon afterwards and, following an attempt to drown himself, he spent the last two years of his life in an asylum.